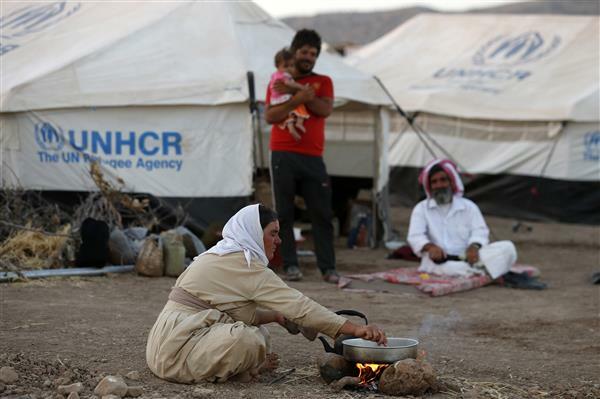 The UN said that it was gravely concerned by the serious deterioration in the security and humanitarian situation in northern Iraq. "Islamic State have overrun areas in the Ninewa plains and Shirkhan districts of Ninewa, with fighting continuing between ISIL and the Kurdish forces along border areas of the Kurdistan Region in the vicinity of Makhmour," the UN statement said. Nations Secretary-General for Iraq, Gyorgy Busztinthe, called on the government of Iraq and the Kurdish government of northern Iraq to coordinate a security and humanitarian response to the current crisis and to do their utmost to ensure the availability of resources to support the humanitarian needs of those civilians displaced or affected by the violence. The Iraqi government provided a planeload of ammunition to Peshmerga fighters from Iraq's semi-autonomous Kurdish region on Friday, a US official said, in an unprecedented act of military cooperation between Kurdish and Iraqi forces brought on by an acute militant threat. The official said Iraqi security forces flew a C-130 cargo plane loaded with mostly small-arms ammunition to Erbil, in a move that American officials hope will help the region's Peshmerga fighters keep fighters from the Islamic State at bay. "This is unprecedented," the official said on condition of anonymity. 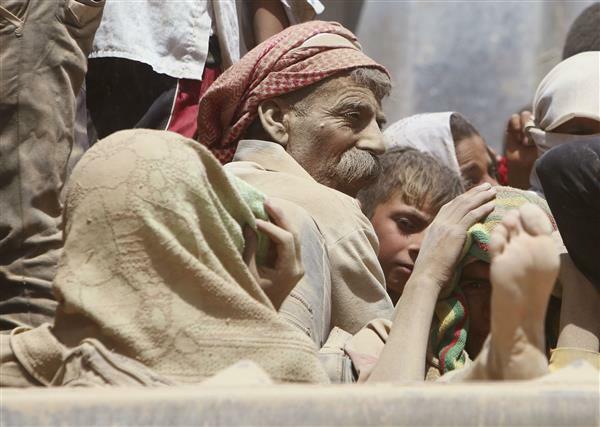 The US military has dropped food and water for a third time to thousands of Iraqi refugees stranded on Mount Sinjar. US Central Command said in a statement Saturday night that the latest airdrop involved planes from multiple air bases and included one C-17 and two C-130 cargo planes. Fighter aircraft flew in support of the airdrop. Officials say the aircraft delivered 72 bundles of supplies, including more than 3,800 gallons of water and more than 16,000 meals. 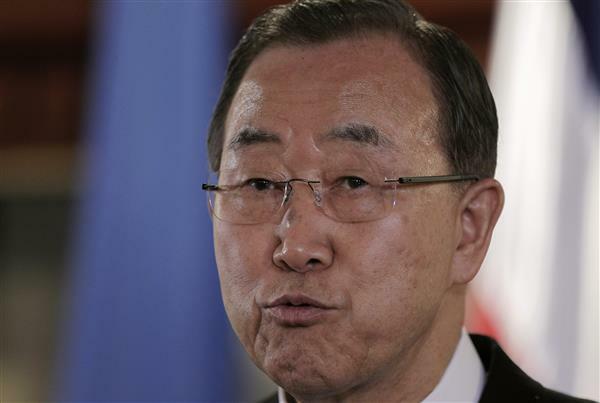 UN Secretary General Ban Ki-moon has called on Iraqi politicians to form a broad-based government to face the Islamic State group threatening large parts of the country. Ban "calls upon all Iraqi political parties to abide by the constitutional timeline that governs the nomination of the Prime Minister," his spokesman said in a statement. "He also calls for reason and wisdom to prevail and urges all leaders in Iraq to form a broad-based government that is acceptable to all components of Iraqi society." "Such a government should be able to mobilize the nation to confront the threat from the Islamic State in a way that will bring security and stability to the whole country." 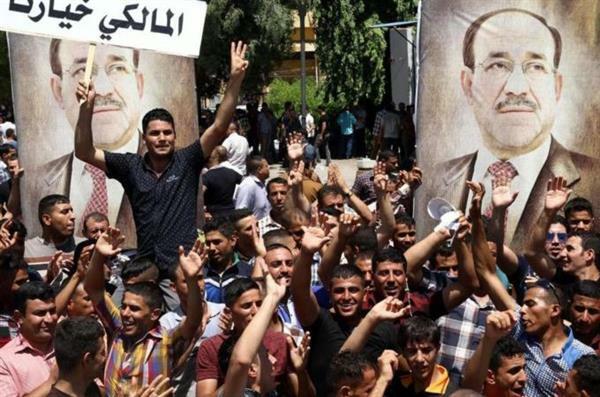 Iraq's parliament has been deadlocked on chosing a new prime minister following elections in April. French Foreign Minister Laurent Fabius is travelling to Baghdad and the Iraqi Kurdish city of Erbil for talks with Iraqi leaders, his ministry says. Fabius, who left France early on Sunday, will meet with his Iraqi counterpart Hoshyar Zebari in the capital before flying to Erbil in the country's north where US forces have launched air strikes against the Islamic State group. In Erbil, Fabius will hold talks with the President of the Iraqi Kurdistan region, Massoud Barzani and oversee the delivery of humanitarian aid to civilians who have fled. The US Department of State has issued a statement warning US citizens against all but essential travel to Iraq. The statement said: "Travel within Iraq remains dangerous given the security situation. The Department of State has relocated a limited number of staff members from the Embassy in Baghdad and the Consulate General in Erbil to the Consulate General in Basrah and the Iraq Support Unit in Amman. The Embassy in Baghdad and the Consulate General in Erbil remain open and operating.... 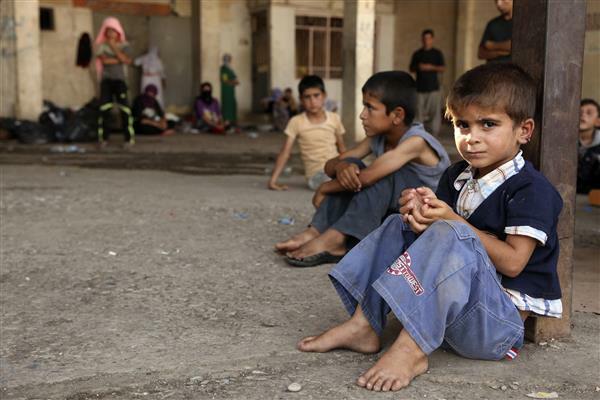 US citizens in Iraq remain at high risk for kidnapping and terrorist violence." Pope Francis has appealed for peace in Iraq after leading the Sunday prayers the Vatican, the Catholic News Agency has reported. 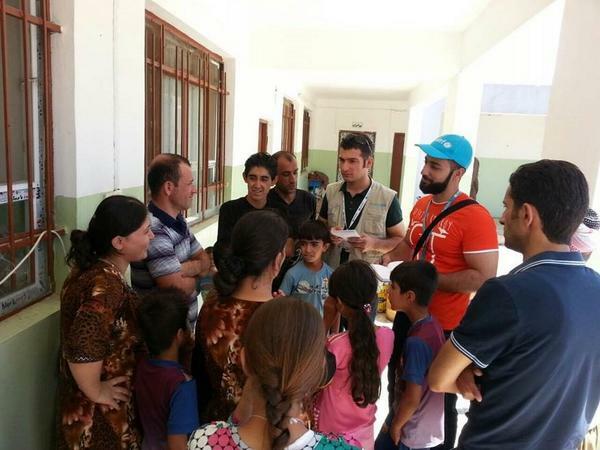 #Iraq: WFP has assisted around 230,000 ppl who fled the conflict & distributed food in 10 governorates despite the security situation. Politico magazine's Carrie Budoff Brown, citing an anonymous US official, provides an insight into how the US administration decided to launch an air-raid campaign against Islamic State group fighters in Iraq. The reports from the intelligence community and the State Department were vivid and compelling, the official said: People were dying of hunger and thirst, women risked being enslaved and the existence of a religious minority looked imperiled. 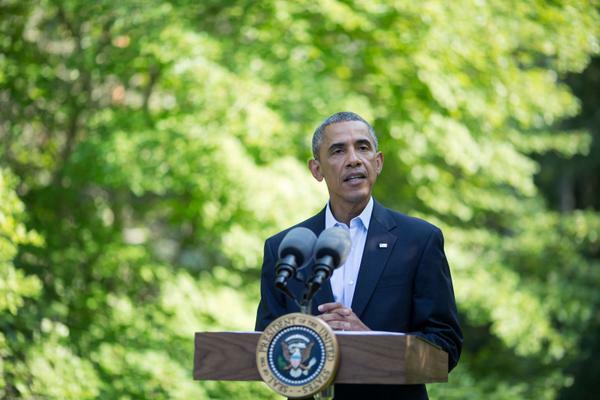 It more than met the legal definition of genocide, aides told Obama." 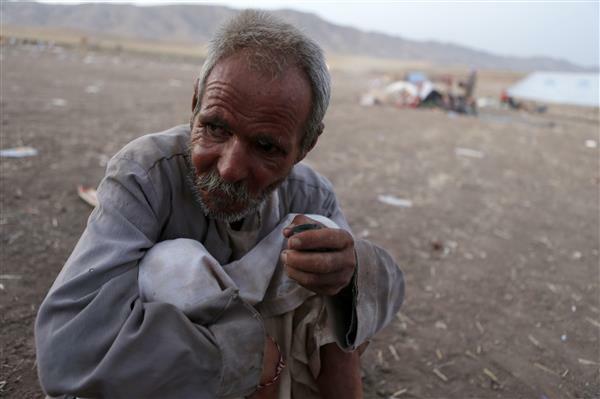 Large numbers of the Yazidi religious minority are still stranded on a desert mountaintop in Sinjar. 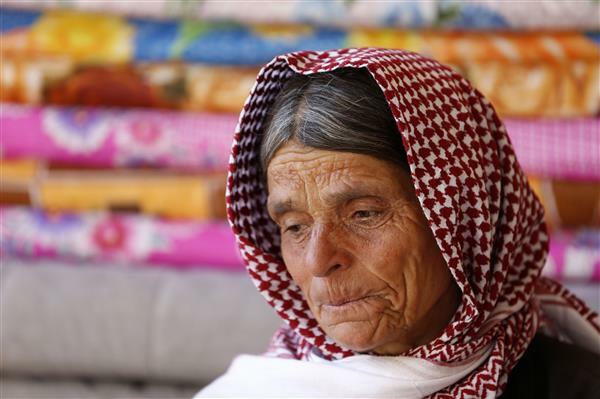 Amid this human suffering, there's an ongoing political stalemate in Baghdad. 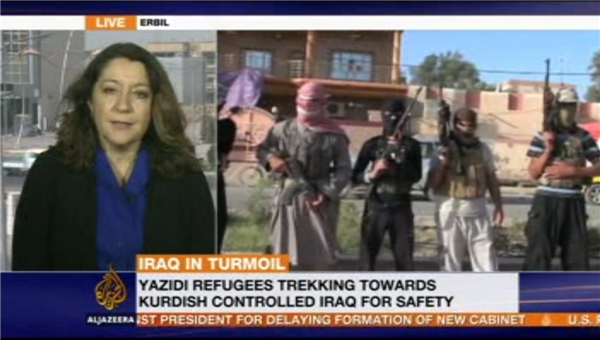 Listen to Al Jazeera's Jane Arraf reporting on the latest developments from Erbil. Islamic State fighters seize town of Jalawla, northeast of Baghdad after defeating Kurdish Peshmerga forces, Reuters is reporting citing police. Our sources confirm that security is tighter than usual but no army tanks are visible in Baghdad contrary to reports suggesting that special forces loyal to Maliki had been deployed around the capital. This video from the US Central Command shows the humanitarian aid air drop in areas Sinjar where members of the Yazidi religious community are being threatened by Islamic State fighters. via Matt Bradley of the Wall Street Journal. 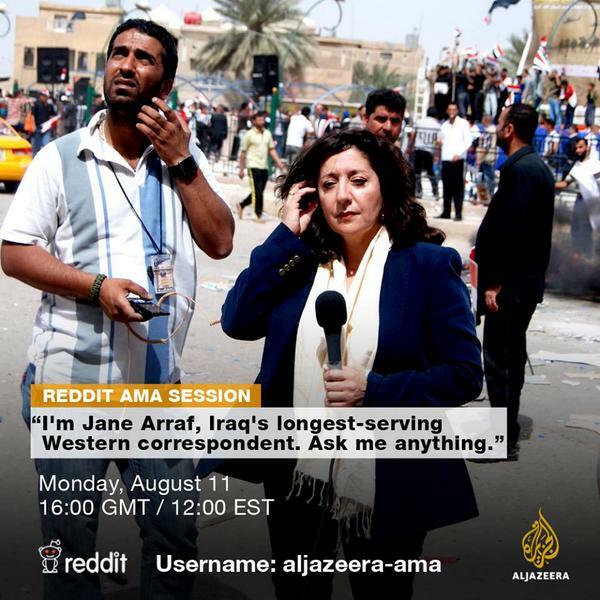 Al Jazeera's Jane Arraf is doing a Reddit AMA today, a great opportunity to get her to explain the rapidly developing political crises in Iraq. She'll be available from 7PM Baghdad time, 4PM GMT, and 12PM US EST. The latest line in from Reuters: A series of US air strikes since last week has slowed the operational tempo of the Islamic State group, the armed group that has seized large parts of northern Iraq, but is unlikely to substantially weaken the group, the Pentagon said on Monday. Lieutenant General William Mayville, Jr., a senior Pentagon official, told reporters that the strikes had temporarily disrupted the fighters' advance toward Erbil, the capital of Iraq's Kurdish region, but were unlikely to impact their operations in other parts of Iraq or Syria. US Secretary of State John Kerry is urging Iraq's new leaders to work quickly to form an inclusive government and says the US is prepared to offer additional aid in the fight against Islamic State fighters. The US stands ready to fully support a new and inclusive Iraqi government. The Foreign Secretary will chair another #COBR meeting on the situation in #Iraq this afternoon. 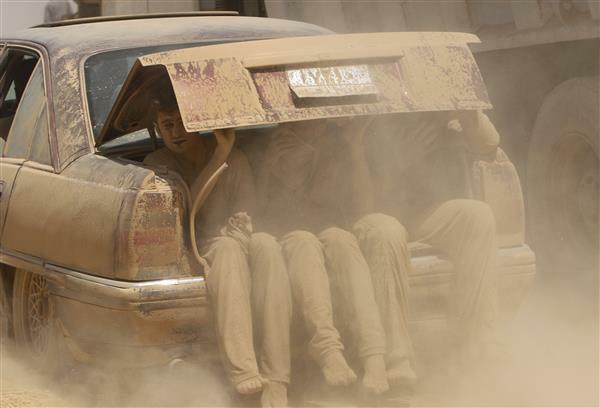 Displaced people from the minority Yazidi sect fleeing violence from forces loyal to the Islamic State in Sinjar town. 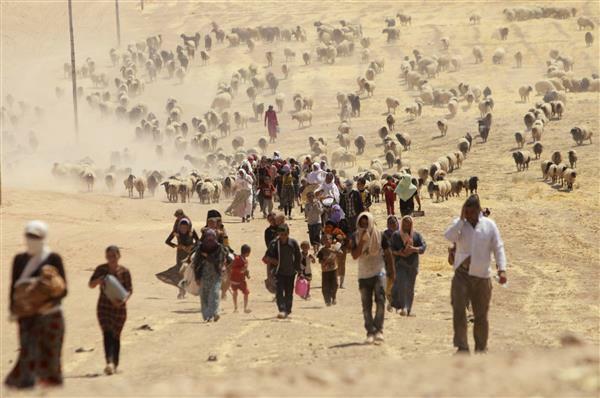 US airdrops, #Iraq helicopter rescues will only help small number of 10Ks of #Yezidi trapped on Mt Sinjar #Iraq, just days away from death. United Nations Secretary-General Ban Ki-moon has said it is "imperative'' that Iraqi security forces stay out of the political process leading to the formation of a new government. The UN chief said "the poison of hatred and brutality" has been allowed to spread in Iraq, Syria and the region. He spoke at a news conference on Tuesday. Ban expressed appreciation for efforts to help the Iraqi and Kurdish governments prevent the further spread of the Islamic State group. 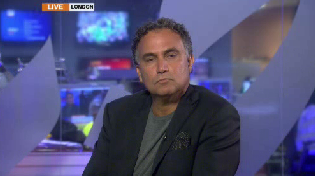 Incumbent PM refuses to step down saying nomination of Haider al-Ibadi is violation of Iraq's constitution. "We would reject any effort, legally or otherwise, to achieve outcomes through coercion or manipulation of the constitutional or judicial process"
US State Department spokeswoman Marie Harf on the handover process. Britain has "agreed to transport from other contributing states some critical military re-supplies for the Kurdish forces" combating Islamic State fighters, a statement from Prime Minister David Cameron's office said. 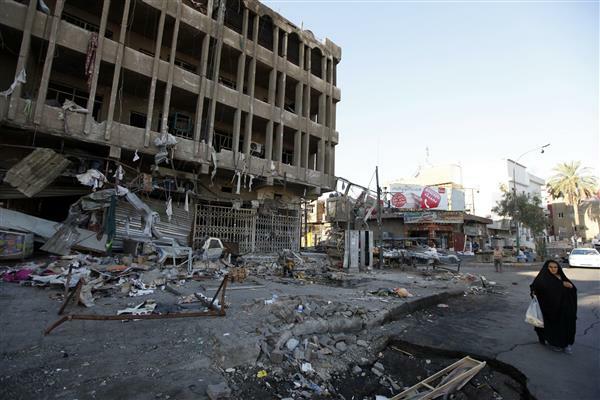 Two car bombs killed 12 people in different parts of the Iraqi capital Baghdad on Tuesday, police sources said. Pentagon says 'this is not a combat boots on the ground' operation as personnel arrive in the Kurdish capital Erbil. Here is our new story on how the US troops scouted the Sinjar mountain in Iraq and their report on the situation of the trapped Iraqi civilians made the US rescue operation less likely. 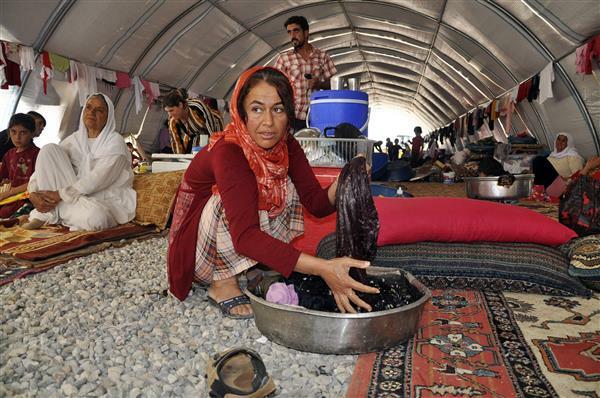 Americans land in Sinjar Mountains under cover of darkness and say the situation was not as bad as expected. Germany has begun sending aid supplies to northern Iraq where thousands of people have fled the Islamic State group, as it considers delivering military equipment aswell. The first plane set off for Erbil, capital of the semi-autonomous Kurdish region of Iraq, carrying medicines, food and blankets and further aid flights were planned for the day. Defence Minister Ursula von der Leyen told the Reuters news agency, "this is just the beginning and we're working hard on sending further aid if necessary and it's becoming apparent that is the case." In an interview with Germany's mass-selling daily Bild she said: "Generally, if a genocide can be prevented with German weapons, then we must help." 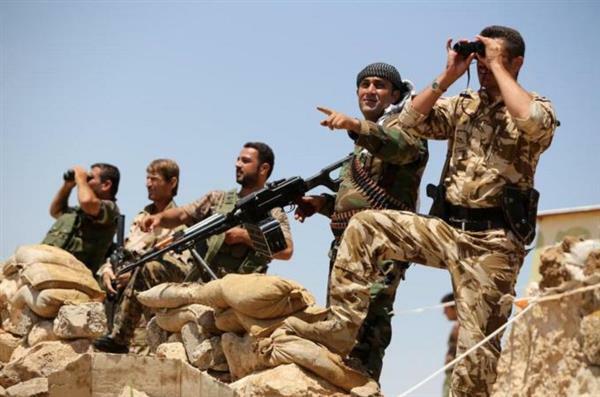 Britain has said it would "favourably consider" a request for arms from the Kurds to help them battle the Islamic State group who have seized much of Iraq, the BBC has reported on Friday, citing unidentified sources. The BBC quoted Downing Street sources as saying that the Kurds had not yet asked Britain for direct help but that any request would be considered with an open mind. 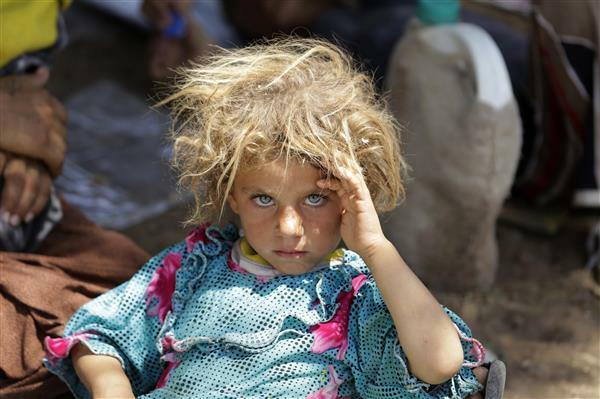 The fighters of Iraq's semi-autonomous Kurdish region are struggling against the better-armed Islamic State group, which has swept across northern Iraq in recent weeks, pushing back Kurdish forces and driving tens of thousands of minority Yazidis and Christians from their homes. 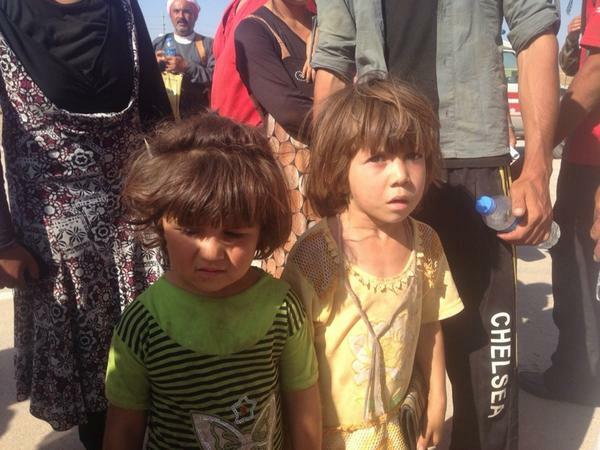 Cameron has so far said Britain's response would be limited to a humanitarian effort to help the Yazidis. With the Islamic State group now controlling a third of Iraq and Syria, the Security Council took a unified stand against what it called one of the most serious threats to international peace and security. weakening the Islamic State group in Iraq amid reports the group killed dozens of residents in besieged ethnic Yazidi areas. Responding to the growing threat from the group, the UN imposed sanctions on six men for recruiting or financing foreign fighters, and threatened additional sanctions against those supporting the groups. The resolution was drafted by Britain and adopted under Chapter 7 of the UN Charter, meaning it can be militarily enforced. 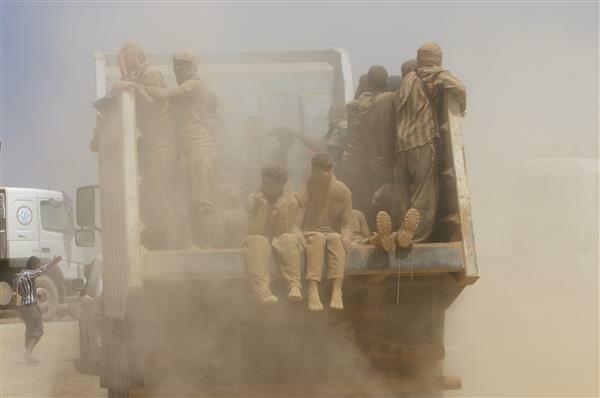 The resolution notes that oil fields controlled by the Islamic State group, Jabhat al-Nusra and other al-Qaeda-linked groups are generating income that is supporting their recruitment efforts and ability to carry out their operations. Speaking after the resolution was approved by the Council, British Ambassador to the UN, Mark Lyall Grant, said the resolution takes significant steps toward cutting off that funding. "They may have some short-term resources at their disposal, but they cannot survive independent of the outside world," Grant told reporters. "We've been very clear that there should be no sale, export of any assets that could support ISIL or ANF (Al Nusra Front) or al-Qaeda. That is very clear in this resolution, and member states have a binding obligation under Chapter 7 to prevent that happening," Grant said. Both Syria and Iraq welcomed the resolution.